With the current mining craze, prices of GPUs are high and availability is low. However, with patience and vigilance, you can find a fairly reasonable price. With this in mind, this guide uses one of the new AMD Raven Ridge APUs, which will allow you to play many games while waiting and searching for a GPU at an acceptable price. Our Modest Gaming Build is built around the Ryzen 5 2400G. Using the stock cooler you should be able to achieve moderate overclocks on this unlocked processor. We've paired the R5 2400G with a parametric list of mATX B350 motherboards that supports up to 64GB of DDR4 memory, multiple SATA6 devices, and front panel USB3.0. Please note that the new Raven Ridge APUs may require a BIOS update on your motherboard to function. If you receive a motherboard with an older BIOS revision AMD has a support page listing your options and will loan you a CPU if the retailer and manufacturer fail to provide you with an updated motherboard. Due to the high cost of GPUs and low availability, we are using a parametric filter for a GeForce GTX 1060 with a max price set. With patience and vigilance, you can find a video card for around this price, and we want to provide a part list that is more accurate to this concept. Hello! I'm new to building PC's (still planning out my first build) and I'm interested in building something very similar to this. I've heard that the Ryzen benefits from dual-channel memory, which is why you suggested 2x4gb rather than 1x8gb, I think. If I wanted to upgrade memory sometime in the future, how much would it benefit the performance overall? Would I buy additional 2x4gb of memory? Keep in mind that I will mainly use this build for gaming. Typically whatever RAM you buy now, yeah you'd buy the same again later (effectively doubling the total when you upgrade), whether that's an additional 2x4gb, or an additional 1x8gb, or whatever. In terms of performance benefits from more RAM, it very much depends what you're doing. Heavier multitasking, and a few especially demanding titles on higher settings, will make good use of more than 8gb RAM - but most current/recent games on their own do ok with 8gb. That may change fairly quickly in the next couple of years, of course, but right now I'd say 8gb is generally a decent start. If you eventually want to game at ultra settings with a dozen browser tabs and a couple apps open, then yeah, plan on working towards 16gb (and probably a higher-powered CPU/GPU!) further down the line. Re: single- vs dual-channel, running dual-channel memory (e.g. 2x4gb sticks instead of 1x8gb for the same total RAM) can have a slight speed advantage in certain scenarios. However, in gaming - and especially gaming with 'modest' builds like this one - you're unlikely to notice much of difference as far as I'm aware (correct me if I'm wrong, someone!). The decision in most cases comes down to a question of initial budget vs. available motherboard slots: if a mobo only has two RAM slots (DIMMs), and you can only stretch to 8gb RAM to start off, you're probably best off getting a single 8gb stick with a view to maybe adding another later. But if the mobo has four DIMMs (as this one does, by the looks of it), you can put 2x4gb sticks in now, and still have room to add another 2x4 later. A potential benefit of dual-channel worth bearing in mind is that if one stick fails, you can still at least get the system up and running on the remaining good stick. Not so if you've only got one installed and that goes bad. Whatever you choose, it's important to check the RAM QVL (qualified vendor list) on the motherboard manufacturer website to make sure the product number of the RAM you're buying is on there. Some RAM vendors also have a reverse version of this QVL for mobos; always worth checking that out too if it's available. Thank you very much! Your comment was incredibly helpful! I'll definitely look into upgrading the CPU/GPU down the line as I'm looking at more RAM. I really appreciate you taking the time to comment. oldish comment but can you use 2x4gb ram and 2x16gbram or 2x32gb ram with it? Meaning can you mix and match different DIMM capacities? If so, it's a bit luck of the draw. In theory, yes, shouldn't be a problem if both products are supported by the mobo. In practice, quite how they'll choose to interact with one another is pretty much anyone's guess. For every story where it's fine, there's another where it's a bit janky. Best chance is to make sure the speeds are the same, including latencies etc - in other words, if you can't get literally identical sticks, you should at least try to get different-sized modules of the same brand and speed. I've got a build with 1 x 8gb stick in it at the moment; I'd like to add a second identical stick, but it seems the exact model I've got might've been discontiuned - it's been rarer than hen's teeth for about six months. So I may have to go for a 2 x 4Gb version when I expand, but that'd leave me with three populated slots out of four on my board, with one decidedly 'odd-one-out' DIMM. Might be fine, but I'm not massively optimistic; suspect I may just be better off selling the 8Gb stick and putting the money towards a whole new matching set. You can't have 3 channels occupied but not 4. 1, 2, and 4 work, but not 3. You can run 3 sticks of RAM on a 4-slot mobo. It tends to be a bit janky in terms of ideal compatibility and slight dual-channel benefits etc, but it will technically work. Not a pro with computers, so i’d wait for comformation (from a reliable source) that this is true. Yeah I'd certainly start off with 8gb on a modest build intended mainly for gaming, agreed. 16gb is arguably the sweet spot for heavier multitasking and a few very demanding games, but for the most part 8gb seems a perfectly reasonable starting point wherever budgets are tighter. 8GB is still the minimum. Not the best, but those games will still work fairly well on 8GB. I'm waiting for prices to drop to something a little more affordable before I go 16GB. Oh absolutely, I'm thinking in terms of 'if you're on something of a budget and want to get started now' - in that case, 8gb is ok for most stuff currently, and will be for a little while yet. There'll pretty much always be something you can't quite run, almost whatever rig you throw down for! But yeah you're right, I'd certainly be looking to upgrade to 16gb in relatively near future if starting with 8gb. Linus Tech Tips does videos showing benchmarks for AAA titles. 99% of them don't use more than 5-6GB of RAM. Most only use 4.5-5GB of onboard RAM to run smooth. Do the research. Don't pay more than you need for RAM. Getting more than 8GB is still more than enough for just about every game out there. If you're doing video editing/streaming while playing, then 16GB RAM is where you want to head. Otherwise, don't. Also, "Team" brand RAM has been hitting the reviews as a cheap option with higher timings. So if you're willing and able to pay for ram with lower timings, I'd recommend doing so. Compare different brands at their various frequencies and focus on their timings at various over-clocked speeds. It's worth researching especially if you're doing heavier gaming/streaming/editing and especially important to buy RAM with lower timings if you're doing 4K gaming and video editing. Again, this is discussed in numerous Tech videos on YouTube and various forums. Careful not to buy into the hype of having 16GB. Only buy what your system is going to actually need. Does this build require a fan? Do you mean a CPU cooler, or case fans? The Ryzen 1400 comes with a stock cooler which should do the job if you're not overclocking. However, I believe it's the Wraith Stealth that comes with the 1400 (the smallest of the various Ryzen stock coolers), so if you ARE overclocking the CPU you may want to upgrade to an aftermarket cooler. If you mean case fans, the Fractal Focus G Mini comes with two LED front fans - but yes, you'd likely want to add at least one more in the back. You'd still have the option of 1-2 fans up top as well, although you may not need to fill every available case fan slot on this build - none of the components draw crazy power or typically pump out a ton of heat. I'd say for this exact build, running at stock clock speeds, you could get away with purchasing just one more case fan if that's all you wanted to buy. No real need for an aftermarket CPU cooler at stock speeds either. However, the build includes the b350 motherboard precisely so you can overclock, and if you're doing that then YMMV. Do you have a recommendation on a fan to buy for this? I'm not that experienced with very many different fan brands to be honest - in recent months I've tended to use Fractal's range a lot (mainly because I've been using their cases), and I've been happy with those, although I'm aware they're very much a midrange, fairly budget-friendly option and there's definitely better out there if you want to spend more. I like how Fractal's look and perform, and I'm not a huge fan of RGB fans in general, so they work for me. Ok thank you. I've been reading about a few fans and seen where some people complain about size of fans in regards to fitting. Thanks! Depends entirely on your case specs - I was talking about case fans when I mentioned Fractal, not dedicated CPU/GPU cooling. Nearly all standard case fan spaces are 120mm or 140mm; your case manual (or manufacturer website) will tell you what you can fit where in yours. People having issues with fan sizes are more likely talking about CPU or GPU air cooling, where the fans are mounted to a chunky heatsink that takes up room inside the case void itself - with those, you have to check measurements and make sure they’re going to fit in your case without blocking off RAM or PCIe slots etc. Hello, I was looking to do this exact build, why do you recommend otherwise? Don't get me wrong, this will do very well, but I would change it a bit personally. If you can afford 1500x CPU instead, then get that, and an ssd is always recommended unless your computer has a strict budget. SSDs are expensive but have great benefits over hard drives, like the one in the list. The other thing that I would change is the size of the case and motherboard. This is a personal thing, and I like ATX because there are some very nice atx cases out there. You can also play with the CPU and GPU (graphics card) choice. The Ryzen 3 1200 can handle the 1060 6gb so you can save money there if you don't need the CPU power as much. Or, if you're fine with a less powerful GPU then you can save there too. I would recommend a 1400 or 1600. In my opinion, the 1500x is not worth the price point, whereas the 1400 is a good budget CPU. If you do decide to go with a Ryzen 3 processor though, I would strongly recommend the 1300x over the 1200 due to the occasional bottleneck. Disclaimer: The 1200 will bottleneck the 1060 in only a few CPU intensive games, but if you don't care about that kind of thing it shouldn't make a difference. If you have the extra $50 to spend, get a Ryzen 5 1600. For gaming it's not too miraculous, but everything outside of gaming feels far snappier with it. With this GPU, you'll likely see a slight increase in CPU-heavy games, less so in GPU-bound titles - really just depends on the game. There are a few helpful benchmarking videos on YouTube comparing performance between 1400/1600. Generally, the additional two cores on the 1600 will be much more noticeable in CPU-intensive tasks and multitasking use. The 1400 paired with a 1060 should be capable of pretty reasonable FPS at 1080p in most games - anything the 1400 struggles with is likely to be a bit of a stretch for the 1060 too (ultra max settings, much higher resolutions etc). The OP was asking if it’s worth upgrading to a higher CPU for gaming; I’m saying it would be IF certain games are highly CPU-bound, but most games won’t see much of an FPS jump from a better CPU if sticking with this GPU. Hey! Thank you so much to whoever made this. It is a great help. Does anyone know a 1TB hard drive that will work with this build that is a bit cheaper. If so that would be great. Also to use as a pc you need to buy a software like windows 10. Without windows 10 the pc is nothing. Right? Also do you need a cpu cooler for this build. Lastly is there a bit cheaper video card that will work with this build. It would be awesome if someone would respond to this. Thanks! Choose the type of hard drive you want using the checkboxes on the left of the page (SSD, HDD, Hybrid like the one featured in this build, etc), and then use the buttons at the top of each column to order them by price, brand, speed, capacity, whatever you like. HDDs will typically be the cheapest, as well as the noisiest and slowest, but they'll certainly get the job done. Ideally don't go lower than 7200RPM speed with an HDD if you can possibly avoid it within your budget. A PC doesn't need Windows 10 to run - you could use another operating system, and free open-source ones do of course exist - but for most users and certainly the majority of gamers, yes Windows 10 will be the simplest and most widely compatible option. Legit copies of the Windows 10 Home version, either purchased through the Microsoft website (transferrable to new builds) or as an OEM (non-transferrable) version from an approved secondary vendor, will typically set you back somewhere in the region of 90-120 £/$/Euro on top of the cost of any complete build featured on this site. Thank You! But can you just give me a couple of options of cheaper video cards. I just got into the idea of building a pc. So I am lost and have no idea what each thing means. I can make a couple suggestions, sure - but do keep researching it for a good while before you jump in, and gather as much knowledge/diversity of opinion as you can! What do you want to do with the PC you're hoping to build, and what's your budget likely to be? Also, important point, what sort of CPU are you considering? Because the best options for GPUs will depend heavily on that - no point sticking a super high-end part with a super low-end part ANYWHERE in your build, since the rig will only be as 'good' in certain applications as its weakest component. It's generally all about balance (and sticking to a budget!). You can always upgrade later, remember. Any of the builds featured on this site you can use as a start point, and swap parts in and out to suit your needs/usage/budget. Hi I am new to building PC's. Would this be a decent World of Warcraft configuration? Thank you! Just bought parts for this build! Super excited! Can anyone point me in the direction of a good tutorial on how to build this? It's my first build and I'm not really sure what I'm doing. I would love a video tutorial. Hello, I just found this site - it's a great idea, I found the parts picker list to be useful. It comes in marginally cheaper. From what I read there shouldn't be much in it between the i3 8100 and the Ryzen 5 1400, is there anything I am missing? It also swaps out the larger HD for a smaller SSD, I guess that will come down to your preference on what you will use the pc for, realistically if I went for a 256GB SSD I would probably want to budget for a second hard drive. One question on the GPU. There is quite a big price jump from 1060 to 1070, is this partly due to those damn blockchainers? 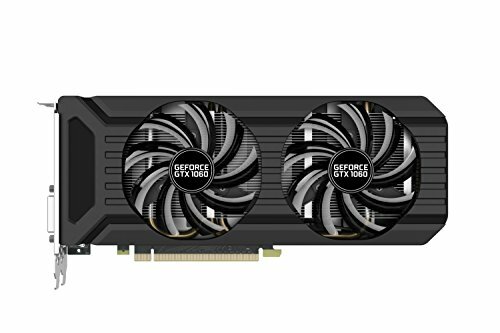 - any thoughts on whether it's worth forking out for the 1070, or is there another option upgrading on the 1060? To be honest I will be gaming in 1080p and I don't really need ultra high settings so probably 1060 is fine for me. You're fine, we all start somewhere. From what I read there shouldn't be much in it between the i3 8100 and the Ryzen 5 1400, is there anything I am missing? The Ryzen motherboard AM4 socket is guaranteed through at least 2020, and has a pretty good upgrade path. It's also better at multitasking, but sacrifices raw speed. The i3 8100 is a fantastic starting CPU, but the only boards available for it now are overclocking boards, but the 8100 can't be overclocked. All Ryzen CPU's can be overclocked. The 8100 does have amazing single thread speeds, however, and if you're exclusively gaming and it's cheaper for you, go right ahead. The SSD will hold your OS and not much else. 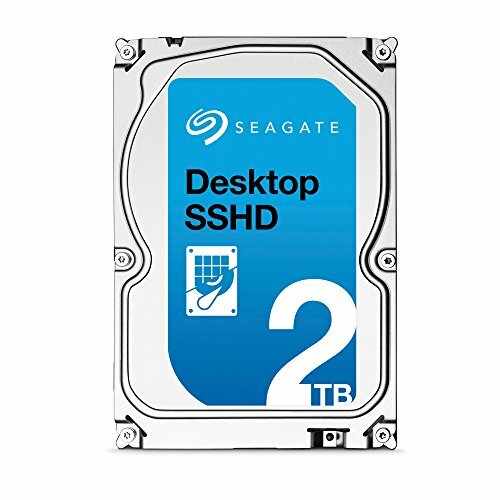 I would recommend sticking with a large HDD if you can only afford one right now. There is quite a big price jump from 1060 to 1070, is this partly due to those damn blockchainers? Yes, miners are back with a vengeance. If you're jonesing for a 1070, check r/buildapcsales regularly. You might get lucky. any thoughts on whether it's worth forking out for the 1070, or is there another option upgrading on the 1060? To be honest I will be gaming in 1080p and I don't really need ultra high settings so probably 1060 is fine for me. At 1080p 60fps, the 1060 6GB will be plenty. A mild to moderate overclock will get you into the 100+ fps territory on high/ultra settings. I'm running Witcher 3 on High/Ultra with Nvidia hairworks on and it's keeping up fine. Hi can you recommend another case? Couldn't find this one in my local store. Much thanks! Case choice is a highly personal thing, really - you need to pick your own based on what you want it to look like, and how easy/practical to build in it's likely to be for you. First and foremost, use the parametric filters on this site at https://pcpartpicker.com/products/case/ to narrow it down to ones within your budget, then browse through some of the more popular/higher-rated of those and see what people have said about them in terms of manufacturing quality, ease of build, airflow, looks, cable management, what extras come included etc. Watch YouTube reviews and unboxings, and gradually whittle it down to two or three that you like the look of and feel will work well for your planned build and experience level. As a general rule of thumb, smaller cases look super neat but are often a little more finicky to work in, and remember that a smaller (mATX or Mirco ATX) case will usually need to be paired with a smaller mATX mobo, like the pairing featured in this build. And I cannot find DD4 with 2800 or higher frequency either. The highest in my store is 2400. Will it affect greatly? Thanks in advance! There's always ongoing debate about RAM speed and how much effect it has (at what levels, on what build, in which tasks etc). Evidence suggests Ryzen responds fairly well to fast RAM, meaning you can potentially squeeze a tiny bit extra out of your CPU if you use very fast stuff, but you may need to manually overclock to achieve this. But yeah, 2400 is fine for achieving the stated out-of-the-box performance levels. 2400 is still kind of a 'standard' speed for current gen stuff. Once you start incorporating much faster RAM it's kind of hit-and-hope with regards to how much of that extra headroom your CPU/mobo combo is able to use effectively - if you're not interested in manually overclocking it, then you may find your expensive fast RAM effectively gets downgraded to 2400 or 2666 in use by default. As long as the part number for the RAM you're looking at is specifically included on the Qualified Vendor List (QVL) for your model of mobo (look for the QVL under 'support'/'compatibility' or similar at the mobo manufacturer's website), then no, you certainly won't see any neagtive impact from using 2400 on a modest build such as this. You may miss out on an extra couple of percent performance at the top end under heavy CPU demand, but given the premium prices currently being charged for 2800+, that's a perfectly acceptable trade-off for many (me included). I like this build a lot. the only changes I made was going with a Samsung 250gb SSD for the same price and moved to a Mid tower case. ---- Is the Micro ATX motherboard going to be a problem when upgrading the CPU? Will it limit my choices? --- Would I have to Buy a new motherboard/CPU combination and then possible get differently pronged RAM chips if I wanted to go with a stronger CPU down the rode? Everything else seems easily up-gradable. It's focused around a Ryzen setup, and with it featuring the Ryzen 5 1400 there's plenty of headroom left for upgrades within the same product line both now and in future - you can go as high as Ryzen 7 1800x currently, and we're still only on first-gen products from this line. We'll know more about second gen next year. So yes, if you wanted to stick with Ryzen then this build and mobo/RAM selection leaves plenty of room for upgrading as things stand. If you preferred to switch to an Intel build at some point, then a different mobo would be on the cards. In that scenario, no reason why the RAM shouldn't be reusable (so long as it was also on the manufacturer's QVL if you did choose to switch the mobo out). Thank you so much for making this! Because I am new to PC gaming and am building my first machine soon, I found this super helpful. I am thinking about going for this build with a smaller HDD and a 120GB SSD additionally for my boot drive. Also, many other sources state that a 550W power supply may be a bit over the top, now I dont know how credible these people are, but is there a way to limit costs on that power supply, or do you believe that it is better not to underspend on a power supply? Never worth skimping on a PSU. If the mobo/CPU combo is the brains of your build, the PSU is the heart. You don't want your lovely new rig that you spent ages planning, saving and shopping for having a coronary on you after two months, frying itself (or worse!) for the sake of making a relatively small saving on an off-brand power supply. 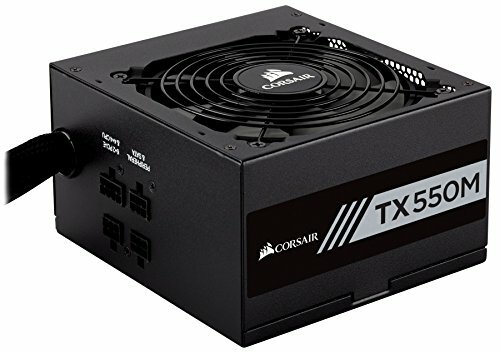 550W is a solid baseline for this build as it gives you plenty of headroom, which is good in itself, with a bit of scope to upgrade components in future without necessarily having to drop another chunk of cash on immediately replacing the PSU. A decent rule of thumb with power requirements is to add together the TDP of your CPU/GPU, then add ~100W (I prefer 150!) for all other components. So for me, being super cautious, I'd be thinking in terms of 65W + 120W + 150W = 335...call it 350W just to leave plenty of headroom, especially if overclocking etc. Sure, it's an overestimate, but I prefer to go that way than to cut it fine. In future you might like to upgrade to a ~100W CPU, or a ~180W GPU (say, a 1070ti), and/or indulge in a bit of overclocking, so you can quickly see where you'd be getting close to maxing out your power on a 450W PSU and having to buy an entirely new one. It just doesn't make much sense to go a lot lower than 500+ for such a small saving, and it never makes sense to go with a dodgy budget brand for 30-50% lower price either. Even a good PSU is already one of the cheapest elements in your rig, after all. There's some handy info on 'tiers' of PSU quality here https://linustechtips.com/main/topic/631048-psu-tier-list-updated/ (key takeaway: most PSU brands don't actually make their own parts, and its important to know which of each brand's products contains better/worse components). You'll also find a better guide to power draw and wattage requirements here https://linustechtips.com/main/topic/199255-how-many-watts-do-i-need-check-here/ and PCIe info for graphics cards here http://www.realhardtechx.com/index_archivos/Page362.htm. What settings on games like assassin's creed origins, battlefront 2, and PUBG could this run With? I want to build a gaming pc that is under $1,000 USD. Would this pc be the best for that price range, or would it be recommended to change some parts for it that will add around $200? Does that price range include things like Windows, a monitor, and your peripherals? Remember to budget extra for those, they’ll set you back at least $200 most likely. You are also probably going to want to tinker around with the storage suggested here, these are only guides, and only you know your storage needs. I have a 1080p monitor already, and an external HD. I do need windows, though. FYI, best way to get a guaranteed legit copy of Windows is still direct from the Microsoft website - that way you get a full retail version which you own and can reinstall on any number of future builds (only one at a time, though! ), rather than an OEM version which is tied to a specific hardware install and won't transfer easily, if at all, to a later build. (There's some potential wiggle room re: transferring OEM versions if you can convince Microsoft by phone that you 'legitimately' need to replace your motherboard, for example...but it's a royal pain in the rear, YMMV, and you don't really save much money buying an OEM version over the full retail version anyway - maybe 15% at most). It'll cost you around 100 ($/£/Euro etc) to get an activation key for the Windows 10 home retail version direct from Microsoft website, which is also a pain - however, in the first instance, you can download and install a non-activated version for free. This has 95% functionality of the paid-for version; you just can't access certain personalisation features, and it'll have a small Microsoft watermark on the desktop until you activate it. Assuming you can live with that, you can still use it perfectly fine while you save up and pay for your activation key later on. You may not be able to leave it in an unactivated state indefinitely (it's still not clear what official Microsoft policy is on this; there are reports of nagging pop-ups and possible deactivation after a while, but everyone's story seems to vary). However, if budgeting is tight right now, doing it this way will certainly let you get up and running without having to delay your entire build just to pay for the OS up front. So just saying, usually a Micro-ATX motherboard, or at least the one I got, only has one slot for the case fan, because of this I had to buy a splitter for the fan cables. There are two case fans and only one slot :D.
Its a great build, but get a ryzen 5 1600. You'll want the extra 2 cores for those programs. With any RAM purchase, the most important thing is to check that the product code of the RAM you're looking at is listed on the motherboard's QVL (qualified vendor list). This is usually found under 'support' or 'QVL' or 'compatibility' etc on the manufacturer's website for the specific board you're wanting to buy. If you go with a RAM product that isn't listed there, it doesn't mean it won't work, but it's a bit hit-and-hope. Often it's fine, sometimes it's a bit of a headache. If you want to play totally safe, stick only to RAM modules explicitly listed on the mobo QVL. So im planning building this as my first pc and I was wondering about all the stuff I would need to build this for the first time, like are there any cables or other stuff not included that i need to get as well? Loving this build! One question though, will this run most games at 1080p @ 60fps for the most part? For the most part, yes. A handful of especially demanding titles might need you to drop the settings to ‘high’ rather than ‘very high/ultra’ as it’s not the fastest CPU, but it’s not going to cause you an issue (throw down for an upgrade to 1500x or ideally 1600 if you can). Either way a GTX 1060 will chew through most current games at 1080p fairly easily. Think you must be misreading something here - the Fractal Focus G Mini featured in this build states a max video card length of 380mm, while the Palit 1060 featured has a length of 252mm, well within limits. It will fit just fine - hope that helps! This is my first time think of building a computer, so i have no idea what im doing. What kind of games could this run and how well? Pretty much any current game will run very nicely - up to 60fps, +/- 10-20fps depending on how well optimized the game is, but all extremely playable - at 1080p (ie. a monitor resolution of 1920x1080). Should i buy a pc cooler as well? i see one isnt listed on this build. it is my first timing building a computer. This CPU includes a stock cooler. Unless you want to do a serious overclock, which since you’re new I’m not going to recommend, you don’t need anything more powerful. You can always add a comparable 3rd party cooler down the line if needed as well. Short answer, no you don’t need to buy a cpu cooler. boo! the case for this build is out of stock @ both merchants! lol. Guess I'll have to upgrade and get a slightly bigger one. any suggestions? Fractal do some really nice smaller cases IMO, have a look at their website. There are lots of very decent options from other manufacturers for this sort of form factor (mini tower) too. You're not short of choice or quality at this price point or slightly above. Thanks for the reply, the case is back in stock now. After asking for suggestions, I realized the mid tower version of the same case is barely bigger than the one used in this build. So, that is always an option. Certainly for playing; streaming you may want to look at a slightly beefier CPU. The Ryzen 1600 would be a good choice. This one is very decent, but it depends how much of a workload you're wanting to throw at it. Hello, what kind of games would you think this can run? Is it okay or possible to change the memory to a 500gb Internal SSD, I am new to this but I do prefer an SSD. Probably overkill for overwatch/csgo at 1080p . A 1050 ti should be fine for that. Maybe look at the budget build guide. If you want to play more demanding games or CSGO/overwatch at 1440p this would work great. Hi! I am new to building Pc's and would like to build a pc starting at $800 to $1000, this build would include a monitor as well. If anyone has recommendations on builds within these specifications or parts that they would recommend, then reply to this comment with those recommendations. Thanks! Hi! Great build! I've been trying to do a similar build to this one but based on the new Intel i5-8400. What do you think about it? Is it much different from this one performance wise? Really interested in building my first PC, but was wondering when a good time to look for deals is? I've noticed the price on this modest build does fluctuate a fair amount. Should I just set price trackers for each component? gpu and ram prices are insane right now for a variety of reasons, and they aren't likely to go down much for a while. Maybe consider waiting some months before building or just do it now if you don't care, becuase it wont drop down any time soon. I finished my first build based on the "modest gaming pc" and I wanted to share some of my rookie mistakes. Maybe someone can learn from them. First I wanted to mention how great this page and the amazing community helped me to finish my dream. Mistake 1: colors over specs This was my first build and quite naturally I wanted it to look cool. I picked the master cooler lite 5 rgb with nice led case-fans and a big sidewindow. As red was the color of my choise I went for the msi b350 gaming pro and didn't care much about the specs. I thought motherboards are all the same anyway right? Wrong... With the chosen mobo I ran into some problems. First of it was mini atx. So it looked ridiculously small my huge case. The biggest problem however was that the pc didn't boot after assembling it. I spend over 20 hours trying to find the usual suspects and searching in the internet for solutions. Did I forget to plug in a cable? Does my screen work? I tried all possible combinations with my ram slot. But I couldn't even get into bios. I found out that many people had the same problem with the same of the mobo and a ryzen 5 1600x. One possible solution was that I needed to flash my bios. Another was that my cpu was doa. I didn't have another ddr4 ram at hand to test that. In the end I gave up and switched to an intel i5 7600k and an asus prime z270a mobo. Now everything works just fine. What I learned: specs before colors! It's nice if the design fits but first priority is that everything works together. Also if you have a huge case there is not reason not to get an atx mobo. And last but not least: google possible problems before you buy. That can save you from a lot of headaches. And last but not least: don't save with the motherboard. Quality has its price. Mistake 2: I hate cpu coolers Besides all the problems I ran into one of the most frustrating experiences I had was with my cpu cooler arctic freezer 13. It was just horrible to install with my and socket, as I couldn't screw it to the mobo, instead I had to clamb it. Anyway it was horrible because while intalling it moved left and right. With my new mobo for intel I was able to screw it to the mobo, but the screws turned out to be trash and I needed quite some force to get them in, which just didn't feel right. Next time I will make sure to read about possible problems beforehand and study the manual before I buy the cooler. Mistake 3: again those damn cpu-coolers! Last big mistake was a combination of the first one for picking a tiny mobo in combination with my lovely cpu-cooler. It turned out to be so big that it collided with my ram sticks. (Again huge case, micro atx mobo, stupid) I managed to get the ram sticks in but it didn't feel right as the one closest to the cpu was in contact with my cpu cooler. I know some of you might think: what a noob. But I learned a lot by running into those problems and if I can just help one of all you rookie pc-builders out there it was worth writing about them. So I’m planning on using this or my next build. Everything looks good to me. It I’ve seen some recommending the 1600 would that make a noticeable impact on performance. Going to use this for gaming and some school work. I’ve also seen that there are very few fan powering ports for the case. Would that matter at all if I got with a bigger case? And if so what would be a good motherboard to use? You’d be unlikely to need anything more powerful for word processing and the majority of current games at reasonably high settings. Fan headers are on the motherboard, not in the case. You could of course go with a bigger case if you wished - depending on what you pick, this may allow you to go with a full-size ATX motherboard, which would likely have more fan headers on it than most Micro ATX boards do. However you can add in fan splitters or a fan hub if you want to run more fans than you have available headers anyway, so it’s seldom a problem either way. I know next to nothing about pc builds or components.. my current laptop is a POS, and I enjoy gaming, and graphic design. Would this build be a good pick as something to follow for someone who isn't a heavy gamer, nor a professional designer, but someone who wants a powerful enough computer to run not only the games but multiple design programs at once? I would definitely say that this build will work with the very powerful CPU and the 2TB Hardrive. If you're a graphic designer you might want to get an ssd as well if you build this build so your storage is a bit faster. Watch many guides as well if you want a build like you want. Sweet thank You! This is the reason I'm choosing to build a pc, for the ability to upgrade if need be in the future! Just wanted to make sure I'd have a solid rig to start off with. Hey all! My first time building and am considering the above build. I"m looking at subbing the AMD Ryzen 7 1700. Any problems with fit or balance? According to parametric it works. Any feedback? Could this PC run games such as Rainbow 6 Seige, Destiny 2, and PUBG? Can it run games such as Destiny 2, PUBG, Overwatvh, Rainbow 6S, etc.? I am looking for a good and cheep pc built that can run a few good games. Can this computer run fortnite at at least 40fps? Looking at doing this build. It will be my first and mu budget is right around 1k, i assume this will run pretty much all games at high settings and have good fps? Definitely want to play pubg and some newer games coming out in the future. Also with this build to upgrade down the line would that be a easy thing to do? Is this PC good for the average gamer of pubg fortnite and csgo? Im thinking about this being my first build. Also, do I need every part listed, or should i modify it to get a better performance? I've got almost the same parts setup, but my R5 is a 1600. The GTX 1060 6gb is great for 1080p at above 60fps on a lot of games. PUBG is a system stresser, but with a moderate overclock and settings adjustment, I've got above 60fps without going over 60C. Modify to your hearts content! So long as the parts are listed as compatible, you shouldn't have a problem. The stock AMD cooler is actually rather fantastic for an included cooler. I've got my R5 1600 OC'd to 3.7Ghz and it's staying nice and cool. Regarding the additional fans, I would recommend 1 additional 120mm fan for the rear of the case. You could leave the rear bare if you need to scrimp. So long as the two upfront are spinning, the case should maintain positive pressure that vents out the back. So depending on how hot you're planning to get, I'd say you'll be fine at core clock speeds. Noob question. Do you still need to add parts for audio and internet/wifi connection with a build like this? You would need to add an adapter for wifi. wired is part of the motherboard. Thanks! Most of the parts are ordered, went with the Ryzen 7 1700. Build will start next month. Appreciate your build guides and feedback. Could you stream and run overwatch w a build like this? What resolution monitor is this build meant for 4k or 1080p? There isn't one in the part list. You will need to add one. All GPU prices are sky high or out of stock. No one knows when things will go back to normal. Is there a Video to this build? Hello all, I am looking to build my first PC and this is right around my $1000 budget. Unfortunately, I am not fond of the case, is there a list of cases that will work with the rest of the aforementioned parts that I can just interchange? Sure. Click the "Customize This Parts List" button. It'll take you to a new page that you can edit. Remove the case from the parts list, then click "Add Case." If you leave the Compatibility filter on, then the list that you see will be filtered to only those cases that will fit all of the internals. You can filter it further to select specific brands of cases, and specific form factors. Since this motherboard is a MATX (smaller than standard ATX) I would suggest filtering for MATX mini towers or MATX mid towers. Note that even if you go with an ATX tower, it should still fit your MATX motherboard. very balanced design for the budget..! The motherboard has built in audio. Remeber when modest gaming builds were 700-800 dollars? Crypto-mining is the worst thing ever. A few questions I have here, first of all I have never built a PC before and I am considering this build with some changes. I have been reading the comments and it seems like some people are questioning the CPU, the memory and the storage. I wanted to know if buying the Ryzen 5 1600 CPU, adding 16GB of RAM, and buying a 250GB SSD would do me any good? Any feedback on whether or not these changes would be affective or not are greatly appreciated! Also, if you guys have any suggestions on other pieces on this build that would be worth an upgrade let me know! Those are great additions to be honest. I was wondering if you could make an assembly video. So i am looking to buy a pc somewhat like this one, what else would i need to buy besides this? I know a mouse and keyboard along with a monitor is needed but anything else, i read about needing an extra case fan so ill be sure to do that but anything else required to game? Hey I wanted to know does this exact build have more than two slots for ram? I need a pc that can run games at good fps but is a little bit cheaper than this one, would there be any changes to this that i could make that would still run games good but at the same time cut down the price? Noob question. I am assuming that ethernet/ WiFi connectivity is part of this and that it has at least a few USB ports for gaming accessories and Wireless headphones? You would need to add a WiFi card, however it will have USB 3.0 rear ports and headers, and a wired Ethernet connection. I need to fit a screen with the same budget. What can i change ? Planning on using this guide to build my first pc. Does anyone know a good budget monitor that would go with this build? Hi I'm planning on making this my first pc build ever from what I see this gets fairly high performance, would you recommend this pc for a first time build. Also I would like to say that I plan on using this build for at least a couple of years as I have been saving for this and cannot Afford to build another in a short period of time(3-4 years). Hey. I'm look at the magnificent intel guide but there is no video card stated. Would you be able to recommend a video card in the $300 - $400 range? This is my first build and I have a lot of questions. Can I email you? How does this build fare for VR? Oculus Rift or who knows what's upcoming? Does anyone know if additional cooling/fans are needed? Will this unit overheat? Also, the video card length says its longer than the vid card dimensions allowed for the case. Is that a mistake? When you buy the Ryzen CPU it should come with a stock cooler. Doesn't really matter what GPU you use . I'm going with the 1050 ti 4gb as well. How well could this build run rainbow six seige, overwatch, and similar titles? Any changes recommended if I were to spend a little more? And what monitor would you recommend? Rainbow Six Siege and Overwatch are common benchmark games on YouTube so you could check out some vids there. This combo won't have any problems going past 60Hz. Hey, I have 4 questions about this build. Is there a good monitor for this that won't bottleneck things but not too expensive. Ok next am I able to mix and match ram say I use a 1 x 8GB with the 2 x 4GB or another set of those Vulcan 2 x 4GB with the ones it already has. Next could someone really explain what graphics drivers actually do. For the fourth can I just say swap out my memory or processor and motherboard? I had a question regarding the new Video Card you added into the build. I'm still using the old msi B350M Pro-VDH motherboard you originally had up on the parts list. I was going to order the PNY Geforce 1060 but the order is taking far too long. Will this Gigabyte GTX 1060 still be compatible with that motherboard? Or will it have some problems? Thanks! GPU's are compatible with all mobo's with a PCI-E Slot except for when it comes to pairing with the CPU. If you have a lower end CPU that is being paired with a higher end GPU like for example.... a Ryzen 3 with 1060 ti 6gb. You will bottleneck. For Ryzen 3 you shouldn't go pass the 1050 ti 4gb or similar GPUs. Hey everyone, I was curious to if this build is upgradable down the road, well worth upgrading. I am unsure if you guys are still responding to comments, but I have played console all my life. I have friends on PC and I'm looking to get into it. I'm big into video editing and photoshop and graphic design. I have an all in one computer as of now and the thing is so frustrating because it has extreme difficulting running multiple applications at the same time. Will this computer have the ability to run multiple applications without slowing down or crashing? This computer is very capable for multitasking - games, streaming, discord, twitch, etc. None should be an issue. I also have ssd that will be going into it, didn't put it in build. Hi- I'm building my first PC and this seems to do everything I'd want to do within my budget. I have 2 questions: 1. As a first time builder, what should I look towards for cooling? Is a fan adequate or should I be using thermal paste, or both? 2. If I plan to stream my gameplay, should I bump up to 16GB or RAM? Dam, for $1,000 you should be able to have far better parts than what you are investing for. That GPU is costing you 3/4 of your build budget. Hello! I'm completely new to building PCs, and im not sure how good this computer is. Will I be able to play minesweeper at ultra-high graphics and still manage 60 fps? Thanks! would you have to also add a cpu coller. this is my first build and I was just wondering because it is not included in the parts list?